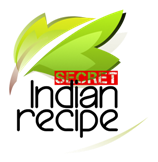 Sumita Nath's Secret Indian Recipe ! In a large deep pan, boil 4-5 glasses of water. Add 1/2 tablespoon of salt. Now add the raw noodles and let it get half cooked. Remove from heat and drain the water. Add in one table spoon of oil and toss it properly so that the noodles don't stick washing them with cold water. This will stop the self cooking of the noodles. Keep it aside. In a wok, heat 1 tablespoon oil. Add chicken pieces and cook till soft. Add the beated eggs and cook till the eggs look scrambled and leave the sides of the wok. Now add the diced capsicum and 1/4 tablespoon salt. Let cook. Keep stirring in between to avoid burning. When the capsicum is half cooked, add soya sauce and stir fry again till the capsicum is well cooked. Now toss in the noodles slowly mixing properly. Sprinkle more salt if required and add the vinegar. Keep mixing softly so that the noodles do not break nor do they stick to the bottom. Add little more oil if it seems to stick. Remove from heat. Egg Chicken chow with capsicum is ready to eat.